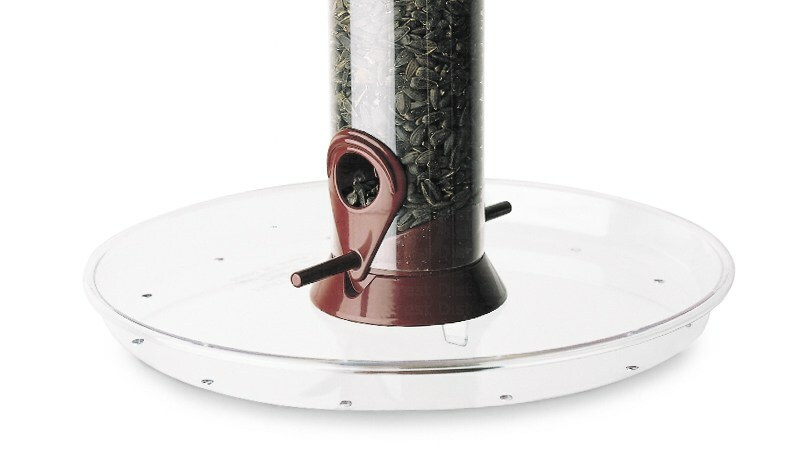 You can't teach birds table manners, but you can at least get them a birdseed tray to curtail the mess. Stray birdseed can sprout into weeds, attract undesirable wild animals, and endanger ground-feeding birds, so you'll definitely want to keep things tidy. This tray comes with little touches like drainage holes, high seed capacity, and sturdy construction that make it long-lasting and easy-to-use. 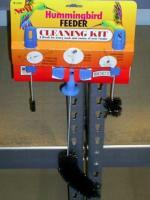 Its threaded plus also makes it super easy to attach to any Droll Yankee feeder with little fuss or muss. Great design - keeps the ground feeding varieties safe from predators. It is large though - extra care must be taken in heavy snowfall areas to keep it cleaned off. Great product! Always en easy replacement part with Droll Yankee. This tray makes cleanup so easy! I received the bird feeder as a Christmas gift almost 12 years ago....the tray finally gave up and cracked (several large squirrels helped end its days!! )....the new tray is wonderful...fits like a champ and works great...even for the squirrels!! I bought this to go with a bird feeder I had already bought in a store here in Houston, and I sent it on as a gift, so I don't really know how it has worked out. But it was exactly as described and arrived in good shape almost immediately. 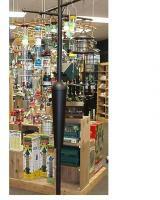 I was very pleased with the company, and I would order from them again if I needed anything they carry. Much stronger and holds more seed than previous version of seed tray, good drainage, easy to install. I have been a Droll Yankees user for a long time. I am always very pleased with every item I buy. The tray does keep the seeds off the ground, but I find it hard to firmly screw on and the tray is often on the ground.